Like many reporters in the 1980s, I was assigned to cover a birthday party when someone turned 100. Reaching that milestone was news, and newspaper and TV reporters and photographers were expected to be on hand to record the momentous event. Those days are gone. The centenarian population has grown 65.8 percent over the past three decades, from 32,194 people who were age 100 or older in 1980 to 53,364 centenarians in 2010, according to the Census Bureau. In other words, men and women turning 100 is no longer news. But the National Park Service’s 100th birthday, well that will probably make the news next month. On Aug. 25, 1916, President Woodrow Wilson approved legislation creating the National Park Service. Today the service includes 412 areas (parks, monuments, battlefields, scenic rivers, etc. ), and Centennial honorary co-chairs Michelle Obama and Laura Bush are encouraging people across the country to visit one or more of the national parks this year. “From Acadia National Park on the East Coast, to Yosemite on the West; from Glacier National Park in the North, to Big Bend in the South; I’ve collected national parks like stamps. I’ve even lived in a national park, the White House,” Laura Bush said. Last year, Jeremy Cronon drove 32,000 miles, visiting 45 national parks. People living in Northeast Ohio don’t have to travel far at all to celebrate. This 33,000-acre park between Cleveland and Akron offers year-round activities for children and adults. You can bike, hike, camp, canoe, board a train, bird-watch and more. The best way to plan your trip is to visit the park’s website or the Boston Store Visitor Center at 1550 Boston Mills Rd., Peninsula (open 8 a.m. to 6 p.m. daily in the summer). Be sure your itinerary includes a few of these special activities. Scenic Train Ride: What began as a coal train line in the 1880s is now a leisurely scenic ride through the valley. 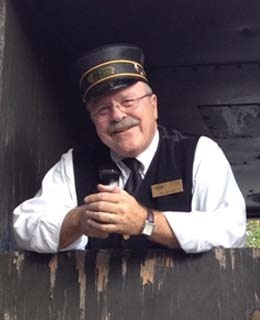 Climb aboard the Cuyahoga Valley Scenic Railroad and enjoy a roundtrip ride, or jump off to explore the park, and then get back on when the train returns. Or try Bike Aboard and bike one-way on the Towpath, and ride the train the other way with bike in tow. In the summer and fall, the train runs Wednesday through Sunday, and prices range from $12 to $18 for an all-day coach pass, or $18 to $28 for a 3-hour ride in the first class car. The fee for Bike Aboard is $3 for each one way segment, and staff will put your bike on the train. And be sure to come back during the winter holidays and ride the Polar Express with Santa Claus to the North Pole. CVSR also has an accessible car with wheelchair lift for passengers with special needs. Biking: The park has five major bike trails, including the popular Ohio & Erie Canal Towpath Trail. The portion of the Towpath trail within the park includes restrooms, picnic areas and train access points. A 2.5-mile, off-road mountain biking and hiking trail opened last year, with an additional 6.5 miles currently under construction. Lodging: Limited primitive campsites are available from Memorial Day through Oct. 31 in the park, with a variety of camping options available near the park. Indoor lodging includes the Inn at Brandywine Falls, an elegantly remodeled 1848 Greek Revival building. The inn overlooks the 65-foot falls and is near hiking and biking trails. More moderate lodging is available at the Stanford House, with shared restrooms and kitchen facilities. 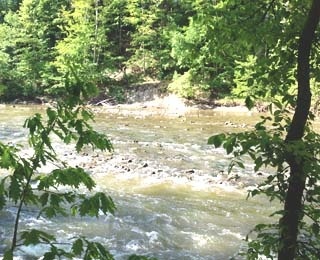 Canoeing and kayaking: The Cuyahoga River is open to boaters, but the park does not maintain the river for paddlers and urges caution when using the river, including, “Don't paddle alone, and let someone know your plans and when you expect to return.” Several companies offer guided trips along the river, and a directory is listed here. To venture outside of Northeast Ohio, check out the list of all national parks. And pick up the new Forever postage stamps featuring 16 national parks at your local post office. Northeast Ohio is also home to three spectacular metro park systems. Lorain County Metro Parks, which will celebrated its 60th birthday next year, features the North Coast Inland Trail for biking/hiking, rose gardens and beachfront swimming at Lakeview Park, landscaped gardens at Miller Nature Preserve and Schoepfle Garden, birding at the wetland Sandy Ridge Reservation, golfing at Forest Hills Golf Course and much more. Cleveland Metroparks, a finalist for 2016 National Gold Medal Awards for Excellence in Park and Recreation Management (winner to be announced in October), has grown to 23,000 acres located in 47 communities in Cleveland and the surrounding area. It includes Cleveland Metroparks Zoo (Northeast Ohio’s most visited year-round attraction), 23 fishing areas, eight lakefront parks, eight golf courses, five nature centers, and two toboggan chutes. Summit Metro Parks, with 16 parks and 125 miles of trails based in Akron, offers biking, hiking, archery, camping, fishing, swimming, a nature center and more. Next month we’ll tell you all about our greatest natural resource, Lake Erie.